In the summer of 2007 a small, independent Japanese run print shop neighboring Kofie’s studio in Boyle Heights, California quietly closed its doors after 50 years of service. The owners were distributing everything they had acquired and were preparing for a long overdue retirement. The studio was full of unused paper, packaging materials, graphic design office supplies and a ton of old offset type drawers lined the dusty old shop. The owners were surprised anyone would be interested in what they felt were useless materials, but recognized Kofie’s sincerity in helping to ‘lighten their load’. So he called a handful of artists that would benefit from this beautiful opportunity, Codak was one of them. With an instant and immediate stockpile of materials to work with, ideas started to stir. 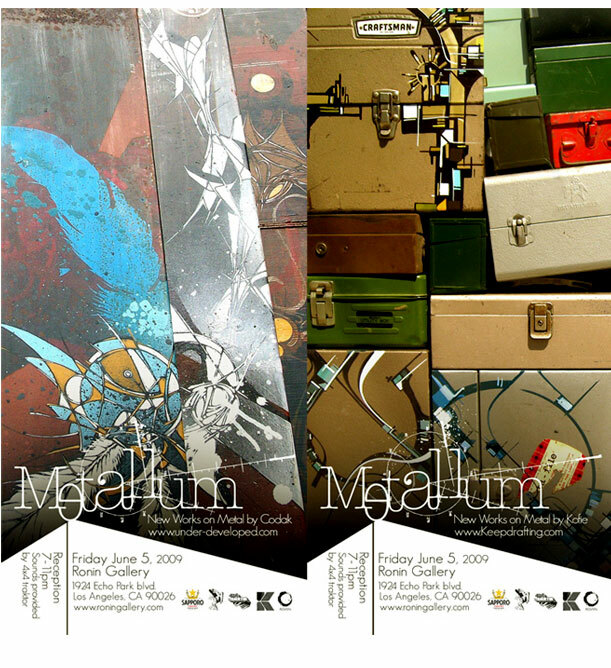 The two creators were consistently brainstorming with ideas of exhibiting their work, and with the incorporation of these metal set type drawers a theme came pretty obvious. Ronin, ambitious new gallery in Echo Park is honored to have Kofie and Codak exhibit their long awaited workmanship. Along with the display of original art there will be limited print collaboration and artist merchandise. 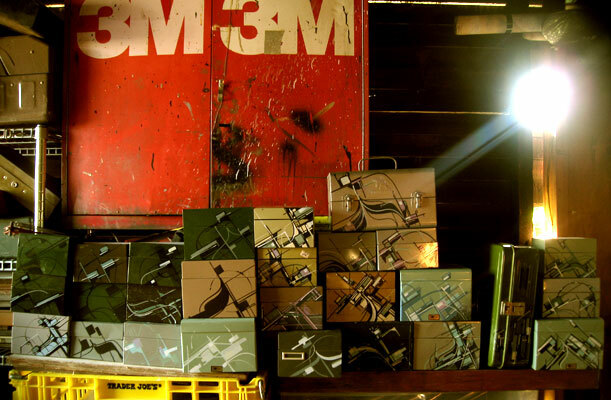 METALLUM | Mural Installation & Gallery Walkthrough from Augustine Kofie on Vimeo.